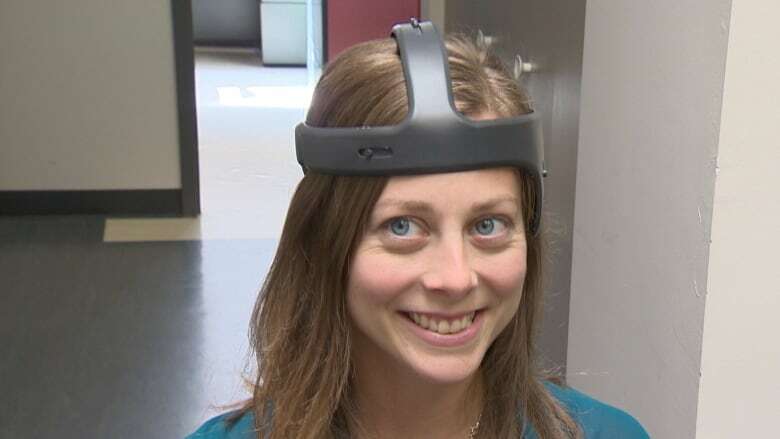 A Halifax startup company hopes to radically improve the way sports teams assess concussions with a machine that quickly scans the brain for damage. "We're creating a new vital sign for the brain," Ying Tam, president of Mindful Scientific, said on Friday. "This tool [could] have been used for Sidney Crosby." Mindful Scientific says it delivers "brain first aid" with its Halifax Consciousness Scanner (HCS). Tam says it offers a huge improvement over the current techniques used to determine if athletes have suffered a mild brain trauma. "This is the standard of care: 'How many fingers am I holding up? What day of the week is it?'" Tam said. He said that approach is not accurate, consistent or reliable. He said that when Crosby suffered his concussion, the HCS could have helped. "It would've been a great tool to assess his brain status after that first hit. They probably wouldn't have sent him back out onto the ice," he said. Once fully developed, the HCS could assess the brain health of a patient in about 10 minutes. "Essentially we're stimulating the brain 350 times, but it's completely non-invasive. The stimulation is generated by audio sounds," Tam said. The device could be used by regular doctors, in the military, or other places were concussions occur. Mindful Scientific entered the HCS in a business idea competition called 43North, along with 3,000 other submissions. Mindful Scientific won through the early rounds and is now in the final 110. The next cut will take it down to 25 finalists and the winner will be announced in November. That winner gets $1 million. "We're pretty excited," Tam said.